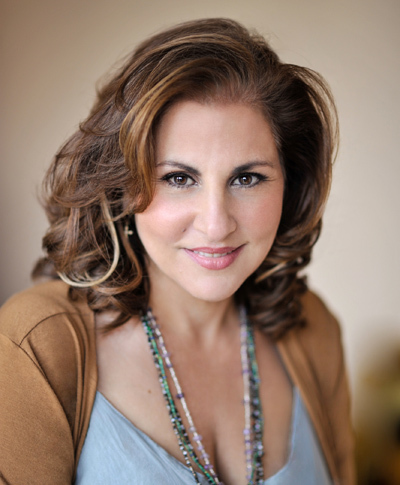 Kathy Najimy is an actor, director, writer, producer, and activist known for her memorable performances in over 25 films and over 100 television projects. Najimy is very proud to have been named Ms. Magazine Woman of the Year and The NY Lily Award for Actress/Activist of the Year 2016. Najimy is internationally known for her award-winning portrayal of “Sister Mary Patrick” in the Sister Act films, Hocus Pocus, Rat Race, Pixar’s Oscar and Golden Globe winning WALL-E, Madea Christmas, Say Uncle, Hope Floats, Zack and Reba, Soapdish, The Hard Way, The Wedding Planner, Jeffrey, The Big K, Blowtorch, Clutter, Jungle Book, Brother Bear, The Guilt Trip with Barbra Streisand and more. Najimy starred as a series regular on A&E’s cop show, “Unforgettable” as the Captain of the NYPD Major Crimes. She currently frequents the TV show YOUNGER and HBO’s “Veep” as Wendy. She has voiced Peggy Hill for fourteen seasons on the Emmy Award-winning “King of the Hill”, for which she received several awards, and starred as Olive on NBC’s Veronica’s Closet for 3 seasons with Kirstie Alley, and was a series regular on Numb3rs and The Big C.
In the theater, Najimy starred as legendary “Mae West” in the hit Broadway play Dirty Blonde, and later at The Old Globe Theatre (Outer Critics Circle Best Actress). Najimy wrote and starred in The Kathy and Mo Show, with Mo Gaffney, her long-running feminist comedy off Broadway play, which became two award-winning hit HBO specials. Kathy Najimy co-created and directed the acclaimed off-Broadway hit Back to Bacharach and David, directed and co-wrote These Girls with Olivia Wilde, Chelsea Handler, Zosia Mamet, Amy Schumer, Debra Messing, Amy Poehler and Gabby Sidibe, as well as several other stage projects. As a proud feminist and social justice advocate, Najimy has been recognized with numerous honors for her enthusiastic work supporting women’s, girls and LGBT rights, AIDS, animal rights, and reproductive rights. She frequently travels the country as a keynote speaker on these issues. She is currently helping helm the movement to reverse the ban on Immigrants, preserve reproductive rights, abolish the NYC carriage horses, and reintroduce the ERA. Kathy lives in NYC with her husband Dan Finnerty of The Dan Band and their daughter, singer/songwriter/actor, Samia.